We'd love to have you join the fun, either blogging with us, or simply visiting. =) We dearly love visitors. This week's word is Construction. If you're joining in the meme, be sure to link up with us at the end of this post. Since this is a blog hop, you can grab the code for the linky down there too. 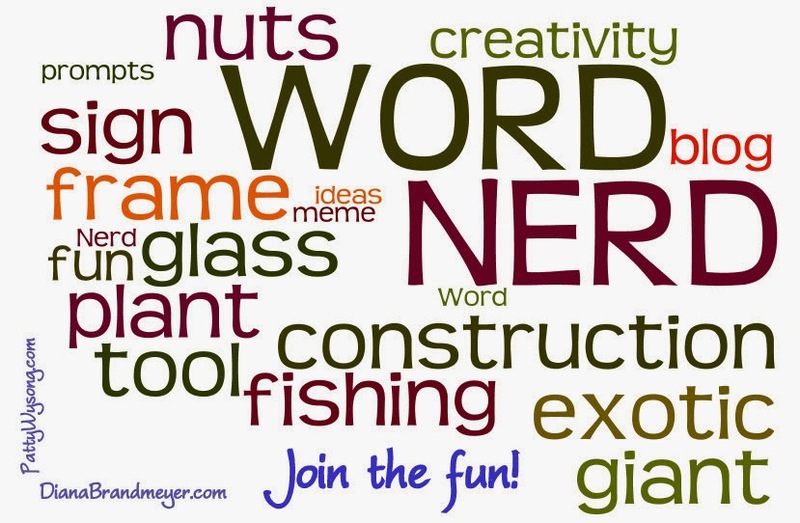 Find more info about the Word Nerd meme here. Being married to a contractor, my life is still full of building things...every aspect of building things, including the demolition part. We bought this house. Really. It looks good here compared to when we got. Saying this place was gross is an understatement. You know the 10-second rule? It did not apply here. If food hit the floor here it was contaminated with "dirty dirt" and could be brushed or rinsed off and eaten--no matter how hungry you were. 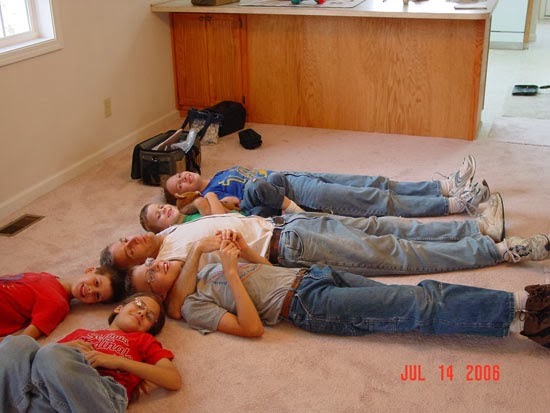 Working together, we gutted it and remodeled the house (and it's neighboring house that was just as bad). It was an education for my kids--one they still talk about. It had a big impact on our family--more than just coining the concept of clean dirt and dirty dirt. Construction isn't just my husband's occupaton, it's a way of life for our family. It's molded all of us into the people we are today. 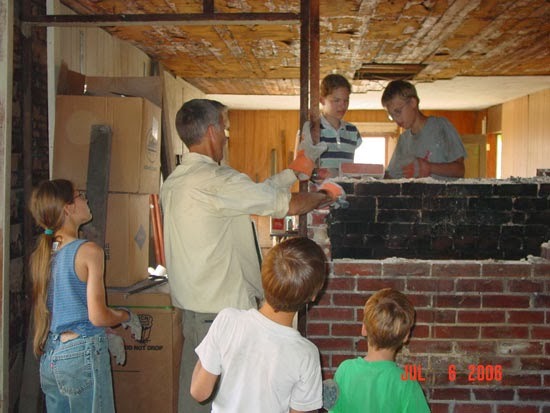 So much of life has been taught through one construction project or another. 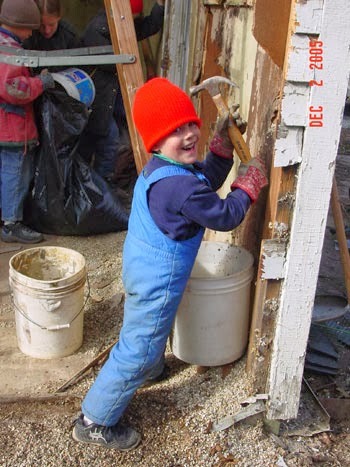 And not just carpentry skills, although all our kids can hold their own on a job. We're talking about life lessons and spiritual lessons--for the kids and for me and my husband. Our kids learned the value of hard work and team work...and sooooo much more. 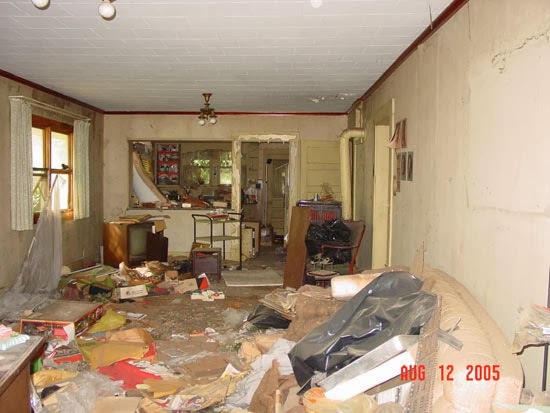 They saw what can be done to trashed houses...and trashed lives. They had a hands on, graphic example of what God can do. Construction. It's good for more than just building things. Next week's word is GLASS. Hope you join us! The lessons your kids (and you!) learner are so valuable. And I love the pix! Great post! Awesome! I love doing houses like these. My favorite part? Being done! Yes I agree so much more than the house gets constructed.